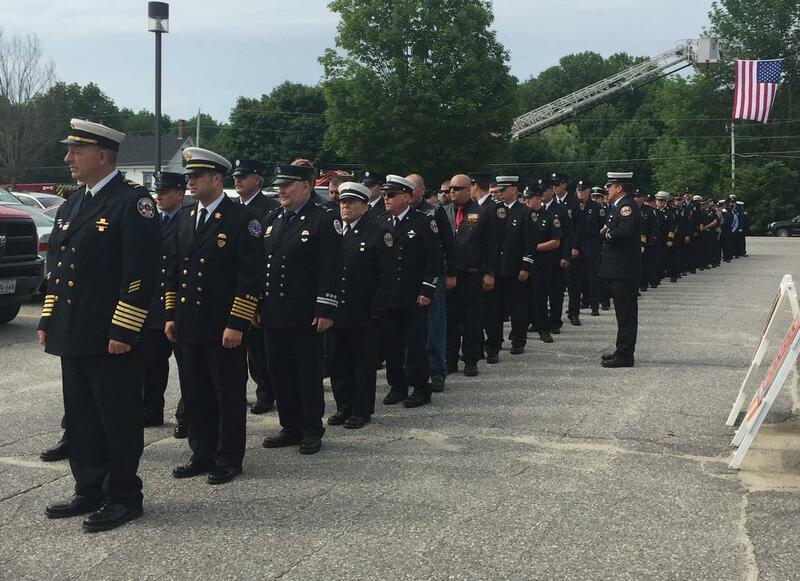 Raymond Fire & Rescue Chief Bruce Tupper leads a firefighter processional before the memorial service Monday for Capt. David Mains. Mains died after a motorcycle accident in Massachusetts last week. “He was all-in all the time,” a colleague said. Story, page 2.